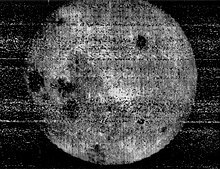 1961: 24 घंटे से अंतरिक्ष में पहला व्यक्ति घेरमैन तितोव, वोस्तोक 2 (पहला व्यक्ति अंतरिक्ष में नींद भी). 1967: प्रथम मानव रहित मिलन स्थल और डॉकिंग, कॉसमॉस 186/कॉसमॉस 188. ↑ Wade, Mark (1997–2008). 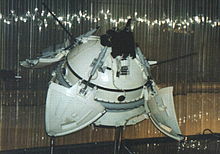 "Soyuz". Encyclopedia Astronautica. मूल से January 17, 2010 को पुरालेखित. अभिगमन तिथि July 15, 2009. ↑ "Gorodomlya Island". 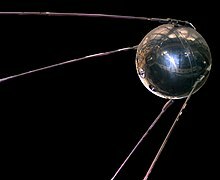 Russianspaceweb.com. अभिगमन तिथि 2016-01-19. 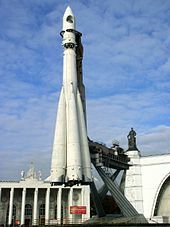 ↑ "German rocket scientists in Moscow". 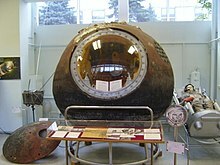 Russianspaceweb.com. मूल से 2016-01-04 को पुरालेखित. अभिगमन तिथि 2016-01-19. ↑ Launius, Roger (2002). To Reach the High Frontier. University Press of Kentucky. पपृ॰ 7–10. आई॰ऍस॰बी॰ऍन॰ 0-8131-2245-7. ↑ Rincon, Paul; Lachmann, Michael (October 13, 2014). "The First Spacewalk How the first human to take steps in outer space nearly didn't return to Earth". BBC News. BBC News. मूल से 2014-10-14 को पुरालेखित. अभिगमन तिथि 2014-10-19.